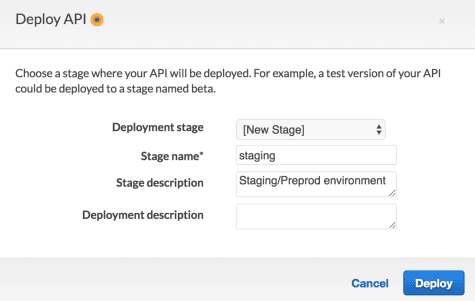 In this post we will learn to design, build, and deploy a RESTful API in Go using AWS Lambda. Before starting, let me give you a brief introduction about AWS Lambda. 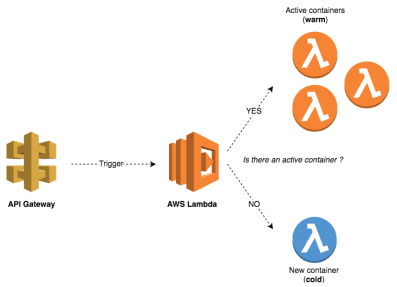 AWS Lambda is a serverless compute service that runs our code in response to events and automatically manages the underlying compute resources for us. 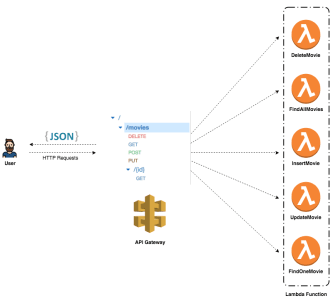 We can use AWS Lambda to extend other AWS services with custom logic, or create our own back-end services that operate at AWS scale, performance, and security. AWS Lambda can automatically run code in response to multiple events, such as HTTP requests via Amazon API Gateway, modifications to objects in Amazon S3 buckets, table updates in Amazon DynamoDB, and state transitions in AWS Step Functions. Lambda runs our code on high-availability compute infrastructure and performs all the administration of the compute resources, including server and operating system maintenance, capacity provisioning and automatic scaling, code and security patch deployment, and code monitoring and logging. All we need to do is supply the code. 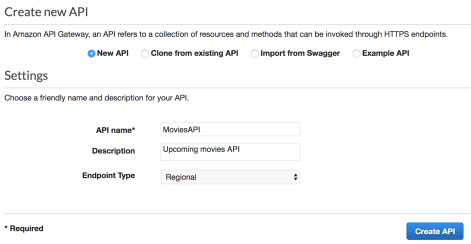 Now, lets’ start with building an API that will help a local movie rental shop in managing their available movies. AWS Lambda empowers microservice development. That being said, each endpoint triggers a different Lambda function. These functions are independent of one another and can be written in different languages, thereby leading to scaling at function level, easier unit testing, and loose coupling. 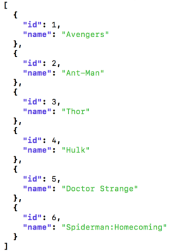 All requests from clients first go through the API Gateway. It then routes the incoming request to the right Lambda function accordingly. Note that a single Lambda function can Handle multiple HTTP methods (GET, POST, PUT, DELETE, and so on). It’s advisable to create multiple Lambda functions for each functionality in order to leverage the power of microservices. However, building a single Lambda function to handle multiple endpoints could be a good exercise. Now that the architecture has been defined, it’s time to go through the implementation of the functionalities described in the above diagram. Instead of hard coding the HTTP status code, you can use the net/http Go package and use a built-in status code variables such as http.StatusOK, http.StatusCreated, http.StatusBadRequest, http.StatusInternalServerError, and so on. Instead of hard coding the HTTP status code, you can use the net/http Go package and use a built-in status code variables such as http.StatusOK, http.StatusCreated, http.StatusBadRequest, http.StatusInternalServerError, and so on. echo "Create a ZIP file"
You will notice in the previous screenshot that the function returns the expected output in a JSON format. 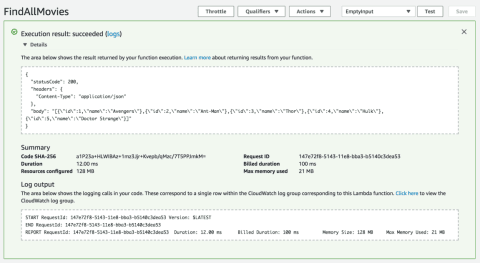 When calling the GET endpoint, the request will go through the API Gateway, which will trigger the findAll handler. 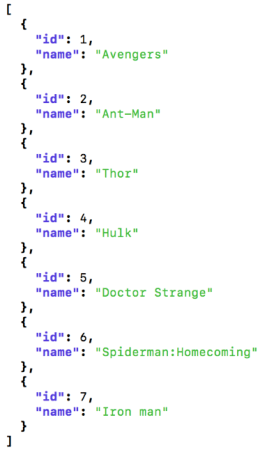 This returns a response proxied by the API Gateway to the client in a JSON format. Now that the findAll function has been deployed, you can implement a findOne function to search for a movie by its ID. The findOne handler expects the APIGatewayProxyRequest argument that contains the event input. 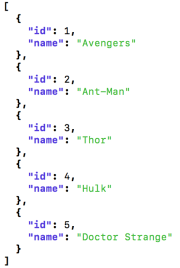 Then, it uses the PathParameters method to get the movie ID and validate it. 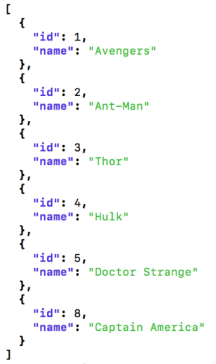 When the API URL is invoked with an ID, the movie corresponding to the ID is returned if it exists. You will find that the movies with IDs 6 and 7 have been removed; why did this happen? It’s simple. Lambda functions are stateless. 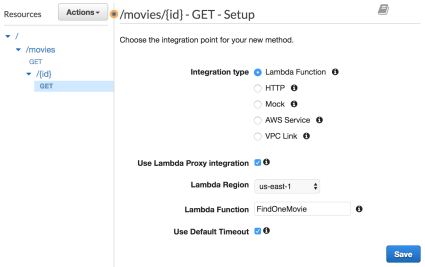 When the InsertMovie function is invoked for the first time (first insert), AWS Lambda creates a container and deploys the function payload to the container. Then, it remains active for a few minutes before it is terminated (warm start), which explains why the second insert passed. In the third insert, the container is already terminated, and hence Lambda creates a new container (cold start) to handle the insert. This explains why Lambda functions should be stateless and why you should not make any assumptions that the state will be preserved from one invocation to the next. Complete source code is hosted on github.